We wrote about the Curtis Bass case last year. We will restate the facts of the Bass case here to illustrate the profound effect the case has had on defending sexual assault cases, particularly those involving child victims. Curtis Bass was a popular minister in Harris County. He had an impeccable reputation among his flock and in the general community as a fine, upstanding citizen. Bass’ reputation was so stellar that when in the fall of 1994 a 16-year-old church member told her mother, other family members and three educators where she attended school that Bass had sexually molested her in the church’s office in February of that year and again in the church’s parking lot in June of that year, no one believed her. Then in 1995 or 1996 a member of Bass’ congregation named Richard Parmer went to the church to help clean it. He took his five-year-old daughter with him. During the cleaning, Parmer opened the door to Bass’ office and found his daughter sitting in the minister’s lap with her dress pulled up above her waist. Surprised, Bass told the father the girl’s dress had ridden up and he was helping her straighten it out. The police were contacted but no charges were filed. In April 2002 an eleven-year-old church member went to the church, accompanied by her sister, to help clean it. Bass reportedly told the young girl to go inside the church with him to retrieve some cleaning supplies. The child said that after they entered the minister’s office, he touched her between the legs, kissed her on the lips, and fondled her breasts. The sexual activity ceased when Bass heard the outer front door of the church open. The girl told her sister about the incident once she got back outside the church and also told her mother when she got home. Once again no criminal charges were filed. In January 2004 Bass’ first alleged sexual assault victim, the 16-year-old who by then was 26 years of age, was talking to a 22-year-old cousin who said she had also claimed to have been molested by the minister. In August 2004 Bass’ first alleged sexual assault victim went to the police and filed a report in connection with her 1995 assaults. Bass was charged with two counts of indecency with a child. Curtis Bass was put to trial in July 2005. His defense attorney mounted an aggressive defense. In his opening statement, the attorney attacked the victim’s credibility, telling the jury that her accusations were “pure fantasy,” “pure fabrication,” and “not worthy of belief.” The defense attorney also told the jury that the prosecution may offer other “bizarre” sexual assault accusations in an effort to “prop up” the trial victim’s credibility. After the victim testified, the prosecution requested that the father of Bass’ five-year-old victim and the eleven-year-old victim be allowed to testify about the sexual abuse Bass allegedly committed against them. The trial court agreed to allow this extraneous offense evidence but instructed the jury that it could consider the evidence, first, if it found the prosecution had proven beyond a reasonable doubt that Bass had committed the other crimes; and, second, only if the extraneous offense evidence would aid the jury in determining motive, intent, opportunity, intent, plan and knowledge of the offense, and for no other purpose. Bass was convicted on both counts of indecency with a child. The jury recommended a 10-year probation on one count and 10 years of incarceration on the second count. The minister appealed to the Fourteenth District Court of Appeal in Harris County. The appeals court noted at the outset that Bass had presented a “fabrication” defense, i.e., the victim concocted the accusations. An extraneous act or offense is a crime, wrong or bad act that is not charged, or described, in the indictment. In the Bass case, the extraneous acts were the bad acts other than the two counts of Indecency with a Child for which he was indicted and eventually convicted. Obviously, evidence of other bad acts is highly prejudicial and is typically prohibited from use in criminal cases unless the evidence fits into the exception listed in Texas Rule of Evidence 404(b). Rule 404 generally prohibits the use of other bad acts for the purpose of proving the defendant’s character and that he acted in conformity therewith in the case at hand. However, there are exceptions when the other bad acts are relevant to show a particular mental state such as motive, intent and knowledge, as well as opportunity, preparation, plan, identity and absence of mistake. Although, in Bass, the court of appeals recognized the longstanding precedents of the Texas Court of Criminal Appeals (“TCCA”) that the prosecution may rely upon extraneous offense evidence to rebut a defense theory, the lower appeals court said this evidentiary rule did not apply in cases where “fabrication” is raised as in the Bass case. The appeals court relied upon itsen banc precedent, Webb v. State, handed down seven years earlier which essentially held that Rule 404(b) would be eviscerated if a defendant could not attack a sexual assault victim’s credibility on cross examination without fear of opening the door to extraneous offense evidence. The State argued that this en banc precedent was no longer viable because the TCCA has specifically ruled in the ensuing years that the defensive theories of retaliation (Powell v. State), frame up (Wheeler v. State), and lack of opportunity (Moses v. State) could be rebutted with extraneous offense evidence. The appeals court brushed aside this argument, reversing Bass’ convictions on the premise that a “fabrication” defense is distinguishable from frame up, retaliation, and lack of opportunity defenses. The appeals court noted that while frame up and retaliation defenses have an element of a fabrication defense, a fabrication defense charges only that the victim is making up the allegation while a frame up defense implies a conspiracy against the defendant and retaliation implies the victim is striking back at the defendant in response to some action taken by the defendant. We have tried two child sexual assault cases in recent weeks. The extraneous offense evidence issue was a major bone of contention at each trial. The prosecution in both cases relied heavily on Bass in their attempt to get this highly prejudicial evidence before the jury. We responded with strenuous objections under 404 and then 403, arguing that the prejudicial impact of this type of evidence far exceeds it probative value. And while we were successful in thwarting the worst of the State’s strategy, by keeping out most of the prejudicial allegations, the trial judges nonetheless let some of the evidence reach the jury. Interestingly, the Court in one of our cases in Waco, Texas, started jury selection with an order prohibiting both sides from attempting to define “reasonable doubt” and “confusing” the jury by comparing it to the other standards of proof used in civil cases; preponderance of the evidence and clear and convincing evidence. We often discuss the other standards of proof to educate the jury about the quality of proof that must be reached to overcome reasonable doubt, that reasonable doubt is the highest form of proof. But, in this case, and for the first time in our experience, the judge specifically ordered that we were prohibited do this comparison. We objected to preserve the issue for appeal. This traditional opening statement is typically no longer available in child sexual assault cases in the wake of Bass. A defense attorney cannot “acquaint” jurors with the real story, such as possible fabrication, retaliation, frame-up, or even lack of opportunity, without opening the door to potentially devastating extraneous offense evidence. Judges are now essentially allowing only “generic” openings in such cases before allowing extraneous evidence to be admitted—even too much emphasis on the high standard of reasonable doubt can be construed as an attack on the victim’s credibility. And once a defense attorney gets beyond opening, she must be extremely careful on cross-examination of prosecution witnesses, particularly the victim, so as not to open the door with questions that directly or indirectly insinuate fabrication, retaliation, frame up or lack of opportunity. Relying upon Bass, the prosecutors in both cases we just defended tried to manipulate our straightforward, albeit tough, cross examination of the victims as implying that the victims had “fabricated” the sexual assault claims. While we successfully blocked this attempt, it was nonetheless a “learning moment” because it revealed how prosecutors now view the Bassdecision. In their article “An Introduction to Cross-Examination,” attorneys Peter M. Burke and Gianfranco A. Pietrafesa said cross-examination “has been called the greatest engine ever invented for the discovery of truth.” Its primary purpose is to challenge the reliability of witnesses and to impeach their credibility by showing bias, interest, prejudice, motive, and prior inconsistent statements. But an aggressive cross-examination of a sexual assault victim in any area that may discredit her testimony may now “open the door” to extraneous offense evidence in the eyes of prosecutors bolstered by Bass. The simple art of questioning about details the victim may have forgotten or failed to represent accurately is now sufficient for prosecutors to argue that defense counsel is implying the victim “fabricated” the sexual assault claim; therefore, extraneous offense evidence against the defendant should be allowed to rebut the implied fabrication claim. It is worse than the proverbial “slippery slope.” The cross-examination objective that defense counsel “should plant a seed in the minds of the jury that the [alleged crime] may not have happened as described by the witness on direct examination,” as stated by Burke and Pietrafesa, has been effectively foreclosed in sexual assault cases, particularly when a child victim is involved. 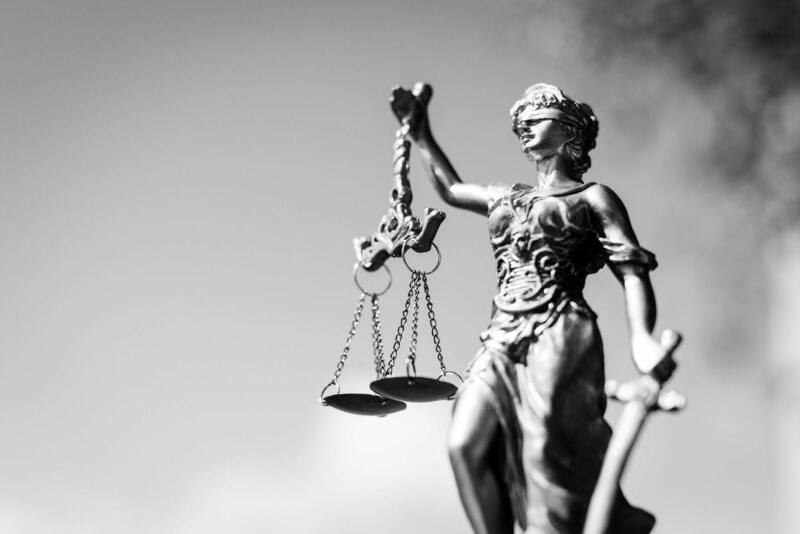 The inherent flaw in extraneous offense evidence in child sexual assault cases is that the prosecution does not need to present corroborating evidence to support a conviction. Art. 38.07 of the Texas Code of Criminal Procedure provides that a child sexual assault victim’s testimony alone is enough to support a conviction. If it so desires and has the evidence, the State may present medical evidence supporting an assault and even utilize child sexual assault “experts” to effectively bolster a child victim’s claims. Thus, there is no real need for unproven and unsubstantiated extraneous offense evidence except to prejudice the jury; to sway the jury that the defendant is a “bad man” who has a history of inappropriate sexual conduct with children. Criminal defense attorneys, therefore, must be exceedingly careful to make sure they do not open the door to such prejudicial evidence. Defense lawyers should also be prepared for the eventuality that extraneous bad acts will be admitted and have investigated the extraneous acts and thoroughly as possible, allowing for effective cross on those witnesses. Bass is bad case law; it virtually eliminates almost any aggressive defense—and there are numerous case examples, such as in the Patrick Logan Montgomery, case where alleged child sexual assault victims sent innocent men to prison. More innocent men will most certainly be convicted and spend years in prison because of Bass and the license it gives prosecutors to convict at any costs—too many of whom are more interested in success for their resume than in pursuing justice in the courtroom.